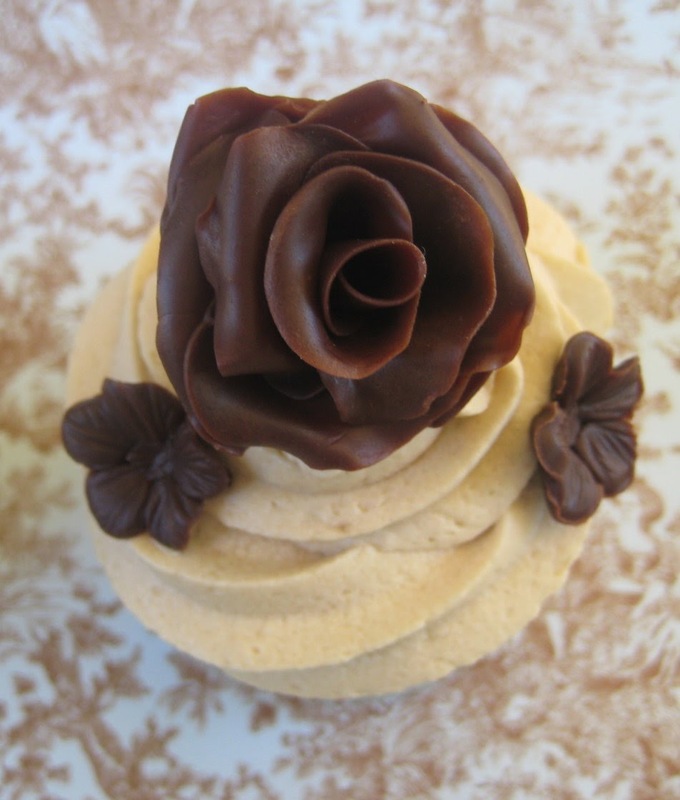 Dreamy creamy coffee buttercream topped cupcakes. These ones are topped with modeling chocolate roses and butterflies. Based on the More from Magnolia cookbook recipe for vanilla cupcakes and vanilla frosting, modified to vanilla bean cupcakes and coffee frosting. Place butter, 2 cups sugar and milk into bowl of mixer and on medium speed mix for 3 to 5 mins until smooth and creamy. Add remaining 1 cup sugar and beat until well combined for about 2 mins more. Mix in vanilla and coffee until well blended. Can be stored in airtight container for up to 3 days. Lovely cupcakes, must try this. Wow! Your cupcakes are perfect and I bet they're delicious! Very pretty! Way to go! These DO look creamy and dreamy! Beautiful and delicious! the cupcakes look so gd and I love the roses and butterflies, they are so beautiful! 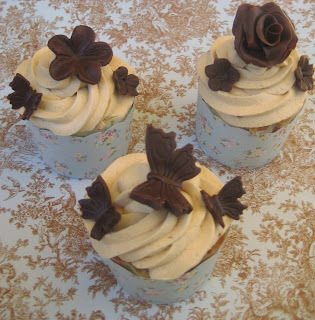 oh wow these look delicious, the buttercream looks so creamy yumm! The cupcakes look delicious! 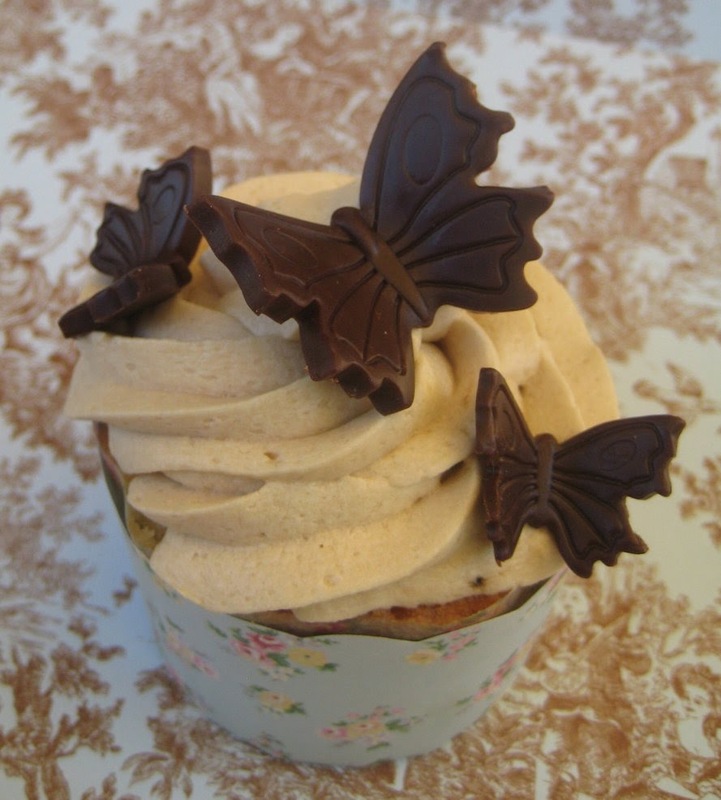 I have those butterfly cutters, so I will have to try them with modelling chocolate!